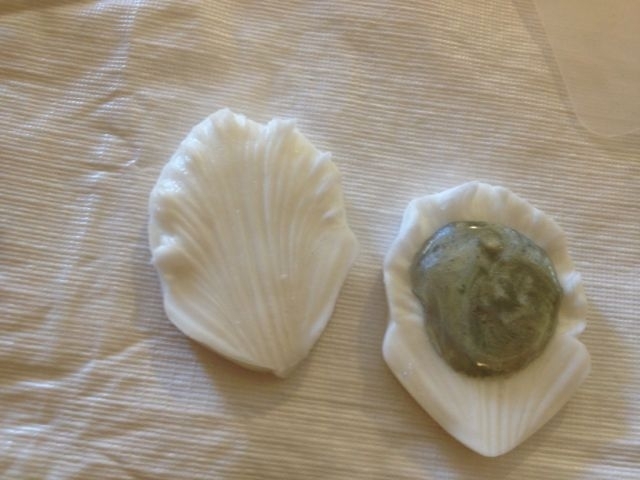 We have a few isomalt classes left before the end of the year for our Florida cake friends! and on Dec 22 we will be in Orlando. Make sure to sign up ASAP to save your seat! A huge thank you to Teri Tarbox, of Simply Cakelicious! 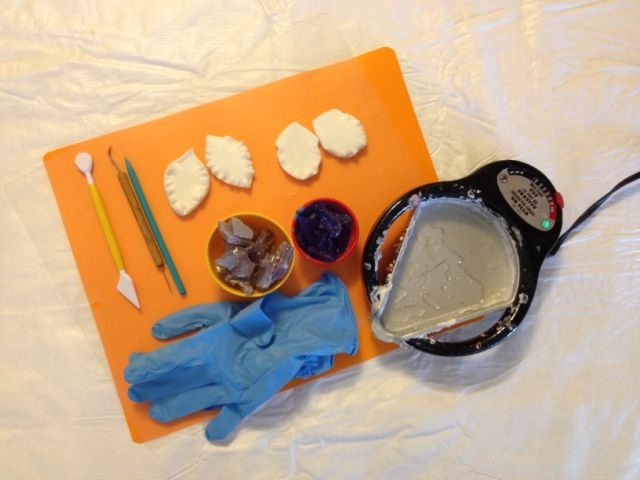 She wrote a wonderful tutorial to share with us on Using Simi Isomalt with veiners. This method is an alternative to pulled flowers. 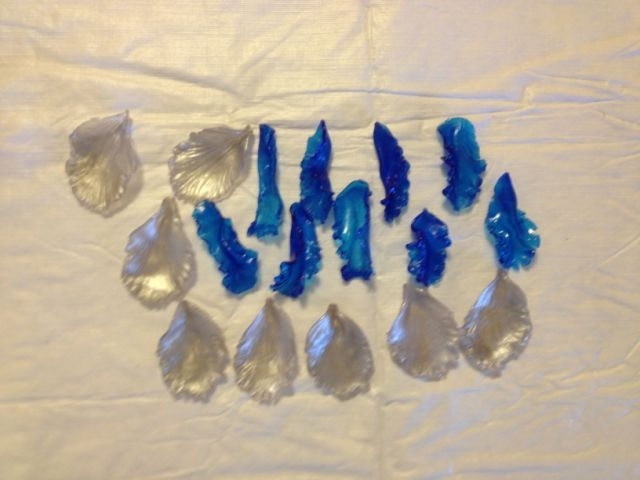 Using veiners and applying the isomalt directly on the veiner the impression of the petals will be in bedded in each petal, creating a Beautiful defined Flower. Veiner of your choosing, I used a Cattleya Double Veiner. In picture- Cattleya Double Veiner, tools on hand- needle tool and flat blade . Melting pot (Ranger Melting Pot shown). At 30 second intervals until it starts to returns to a liquid state. Then 15 seconds at a time until it bubbles. Caution: HOT!!! 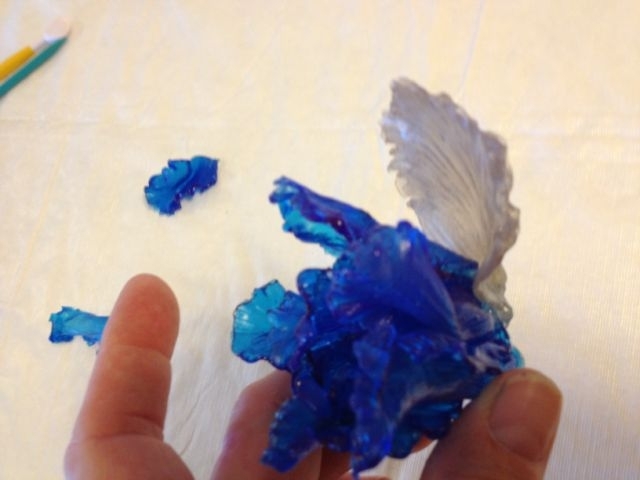 Wear your gloves to prevent burns from boiling isomalt! 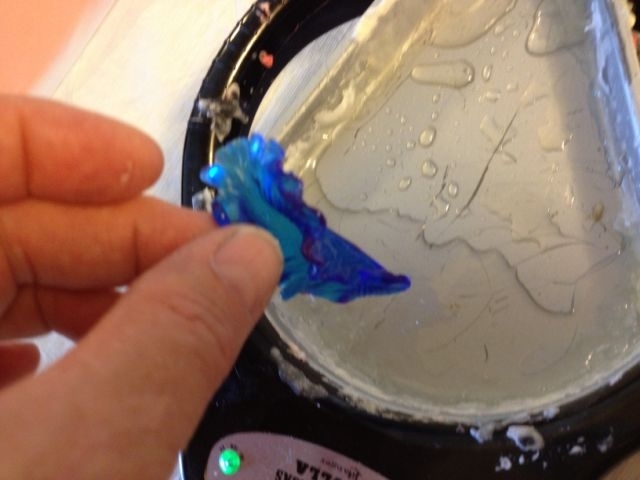 Place bowl on work surface until the isomalt stops bubbling. 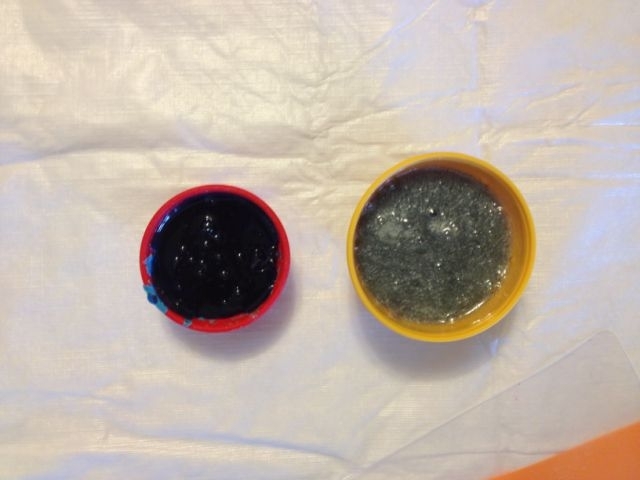 · When the isomalt cools place it back in the microwave as needed at 15 second intervals again until it bubbles. 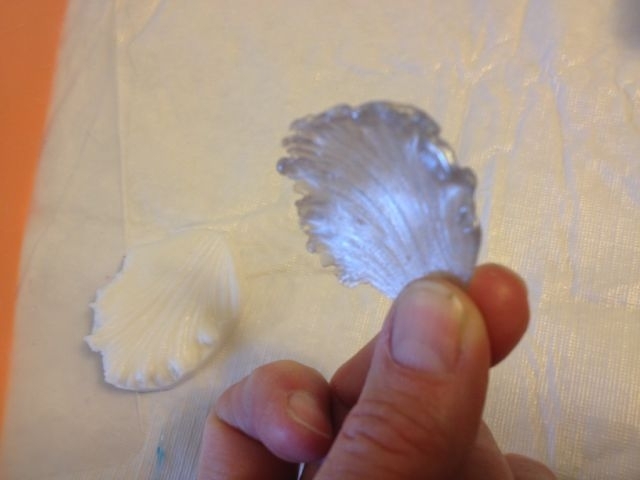 Let bubbles burst and the isomalt is ready to use. 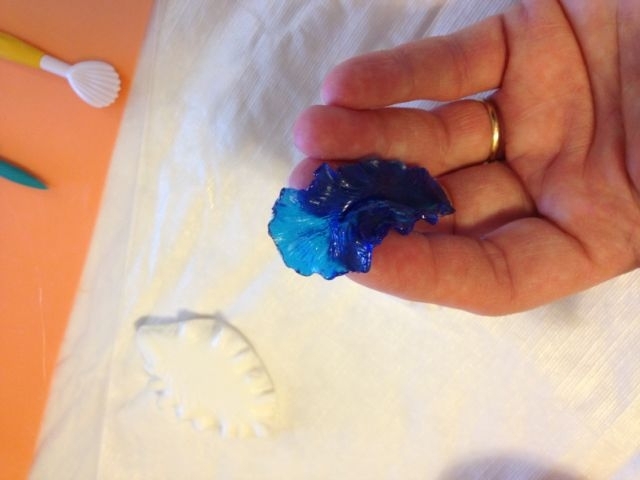 2-Using what is considered the center petal. 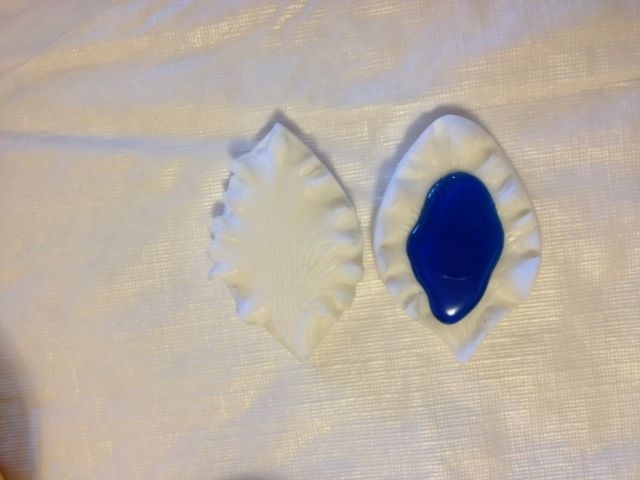 Pour a quarter size amount of isomalt on the bottom veiner, cover with the top veiner. Wait 1 minute and remove the top veiner. Slowly pull the isomalt from the bottom veiner. Free shape this petal. slight arch and pinch the bottom of petal. Helpful hint- Always make a couple more then you think you will need. 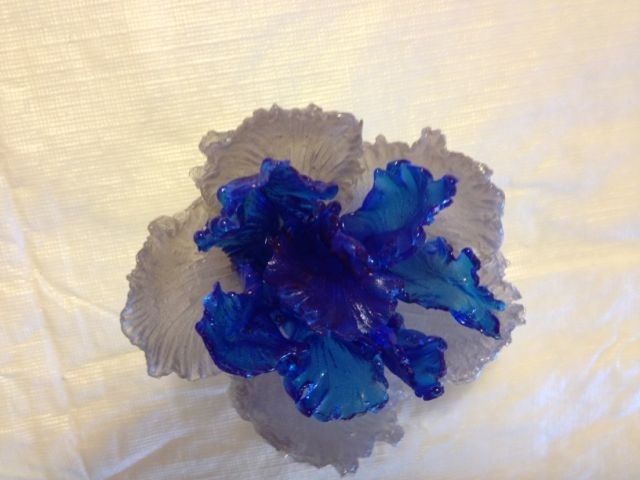 4- Using either clear or the color chosen dip the first center petal in heated isomalt (using a melting pot if you have one or heat the isomalt in the microwave until liquid state to use it to attach the petals). 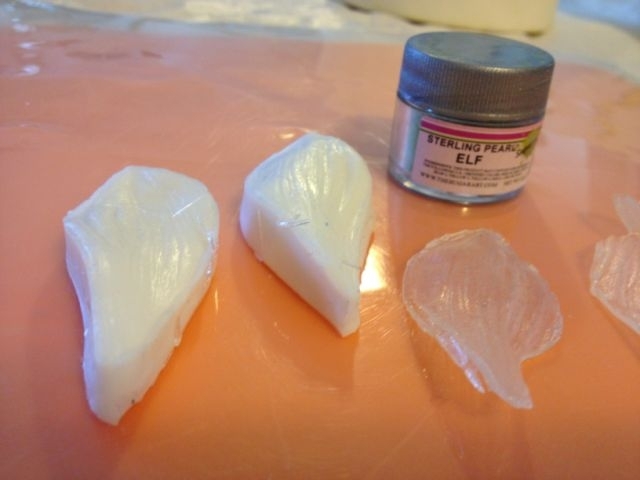 One at a time attach petals, letting the isomalt cool and harden before you attach the next petal. 5- Once the center of your flower is complete. 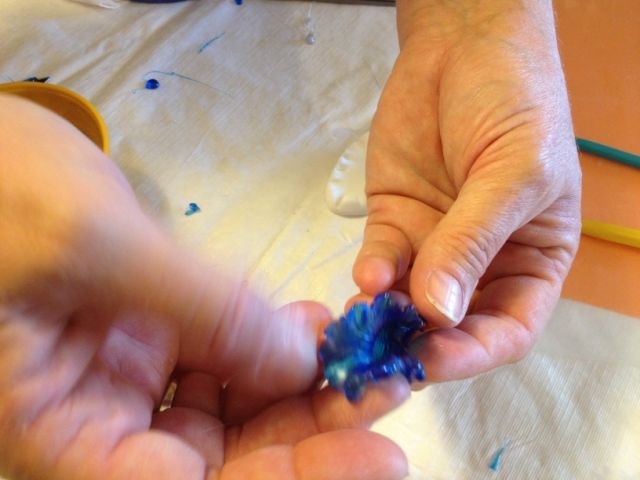 Dip the outer petal in isomalt and attach this petal to the center cluster. The Sugar Art Sterling Pearl Color Elf Green. 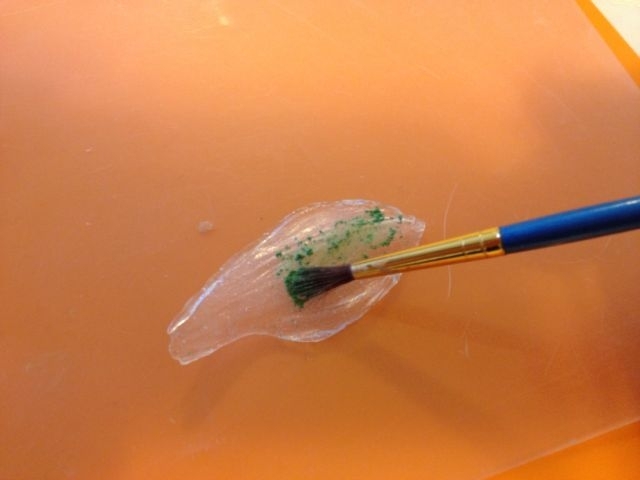 Dust your clear leaf, this will give it a translucent effect. 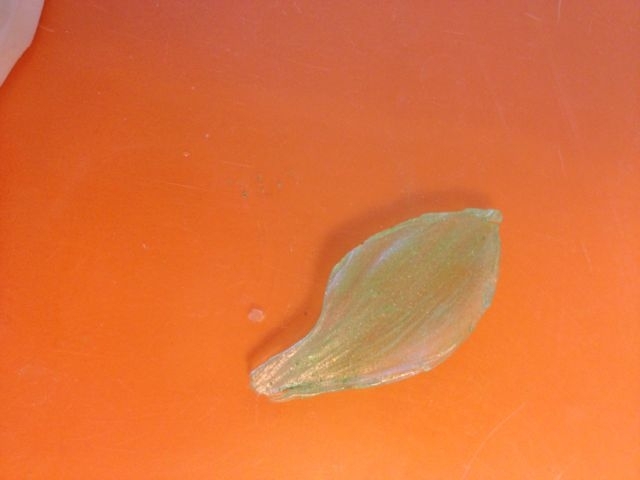 Attach your leaf(s) to the flower using isomalt. 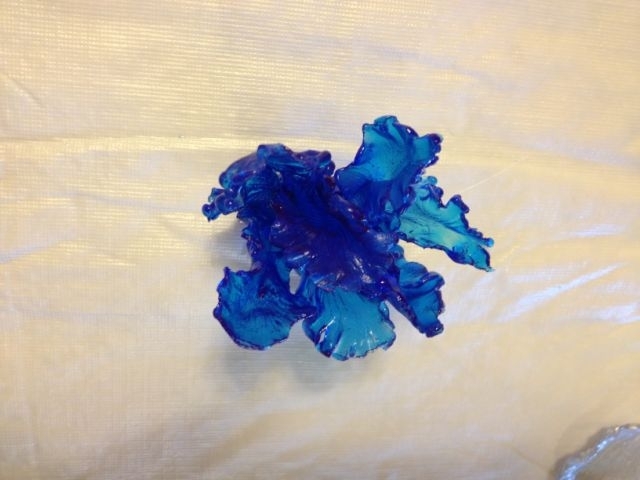 Attach your Beautiful flower with a dot of isomalt to you fondant cover cake. If flower is to be placed on a buttercream cake, attach a lollipop stick to the bottom of the flower with isomalt. 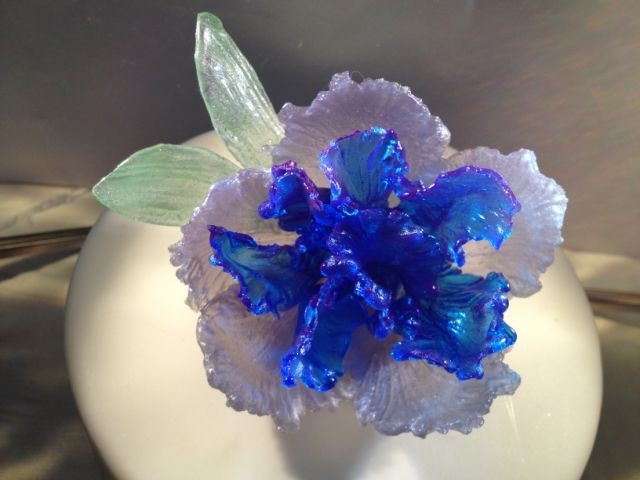 I find that Simi Cakes Isomalt due to its rich colors allow a Sugar Artist to create Beautiful Decorative Fantasy Flowers.